Watch Peaceable Kingdom for free. 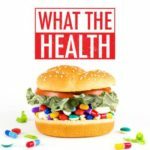 Free showing of What the Health March 17th 7 pm! Trailer below. 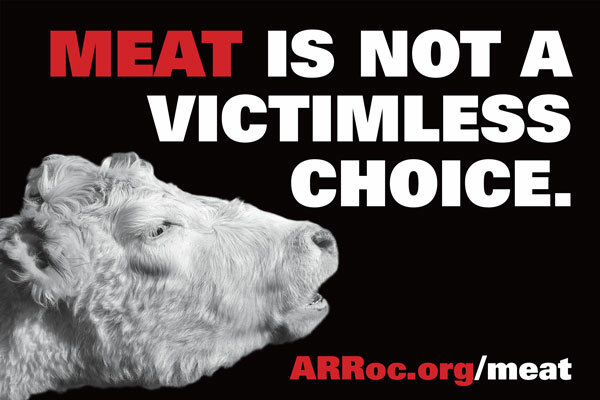 Roc VLP is a FREE educational program that covers the how’s and why’s of living vegan. Sign up today for the session starting in April! This free local program offers a supportive vegan challenge on Facebook! This international program provides support outside Facebook. More than an awesome downtown festival in September! This program also has a Roc Vegan Guide of vegan menus and a discount card! RAVS has popular monthly potlucks and speakers, and more! This organization offers the CHIP program (a medically-supervised plant-based health program), films and speakers, and 6-week plant-based nutrition courses. Vegan Kit has lots of resources for why and how to go vegan. Vegan recipes abound on the internet! 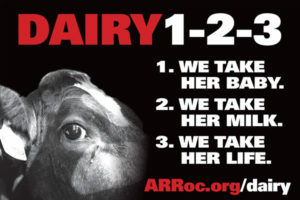 Contact Us for personal help going vegan. We want to help you succeed! This is our friend Freddie, one the of the lucky few to have been rescued, among hundreds of millions who were not; photo by Mary B and used with permission.